RWKrafts: Happy Birthday to Me... WINNER! ISHA who said: So glad to have finally found my B'day partner...mine is also on the 19th....lol. Enjoy your day and have fun. YAY!!! What a B'day gift. Thanks Rachel...you made my day and WOW!!! Its fun to say...I have a B'day twin from the bloggy land sharing the same hobby as mine:)Hope you are enjoying your day. Happy birthday Rachel!! Have a great day! Congrats Isha!! And Happy Birthday to you both!! congrats to birthday girl Isha!!!! Rachel enjoy your time with your family and once again happy birthday! 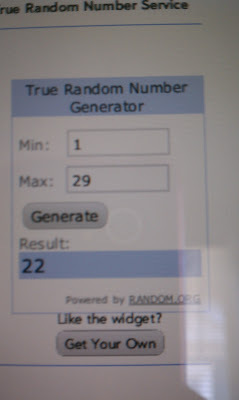 Congrats to the winner, I'm hoping you had a great birthday today and hoping you have fun with your fam in MIA. Keep up the great work. HAPPY Bday Rachel. Hope it was a good one!